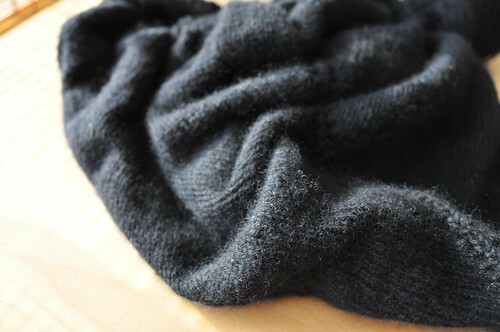 Just bound off this plain black shawl – just a top-down triangle in stockinette, with a seed stitch border. Needs a good blocking to open up, but doesn’t it look so cozy? It’s some cashmere that I bought a few Rhinebecks ago (too bad black is so hard to photograph). 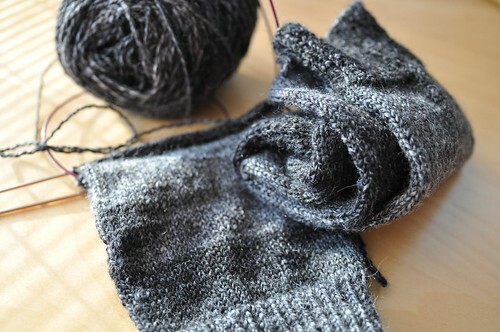 Also in hard to photograph things, black and grey ombre stripe socks with some Lana Grossa sock yarn. Also very plain, but meditative. 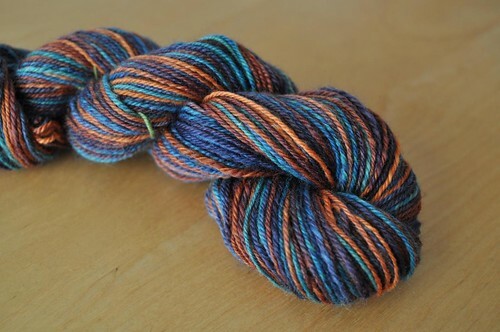 On the other end of the coloury spectrum, some super bright handspun! This is 100g, 210 yds or so of 3-ply (so, a worsted weight). 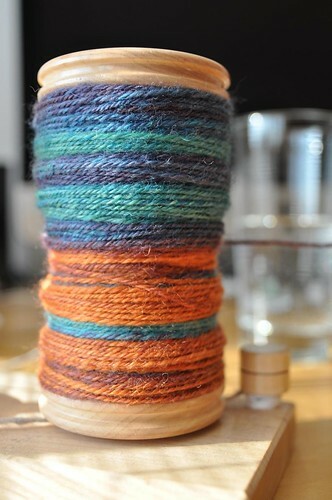 The fiber is BFL from Into the Whirled, and it was awesome to spin. It isn’t that apparent from the hank, but this yarn should be pretty stripey. Watching: Continuum. I really liked it and wish there was more already! 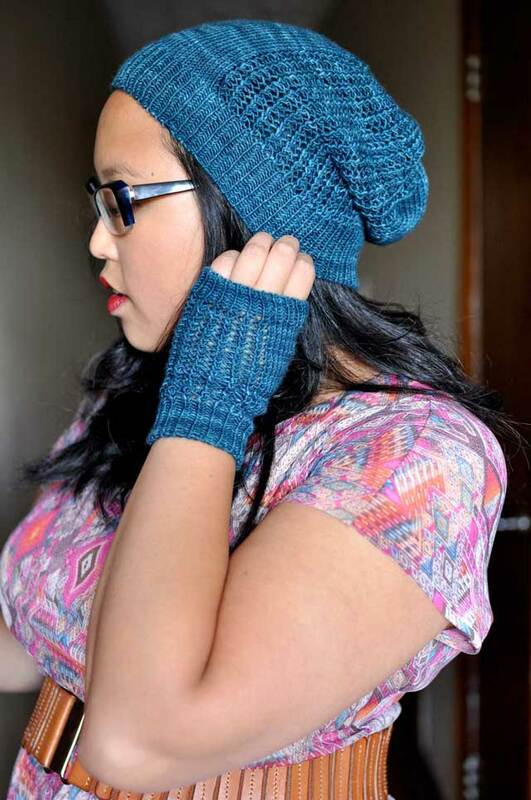 I love the Westing Game, and I love both the muted, soothing colors and that amazing blue-to-orange colorway! Knitting means, among other things, comfort to me, in a very tangible way. I enjoy your photos that highlight that part of knitting. The Westing Game is one of my very favorite books. Enjoy! Wow- I bet that Cashmere shawl is cozy! Ooh–awesome handspun! The Westing Game is an old favorite of mine :) Did you get a copy with the original, 70’s-tastic artwork? Just had the pleasure of introducing the Westing Game to my 11 year old daughter. Now I need to re-read it myself!